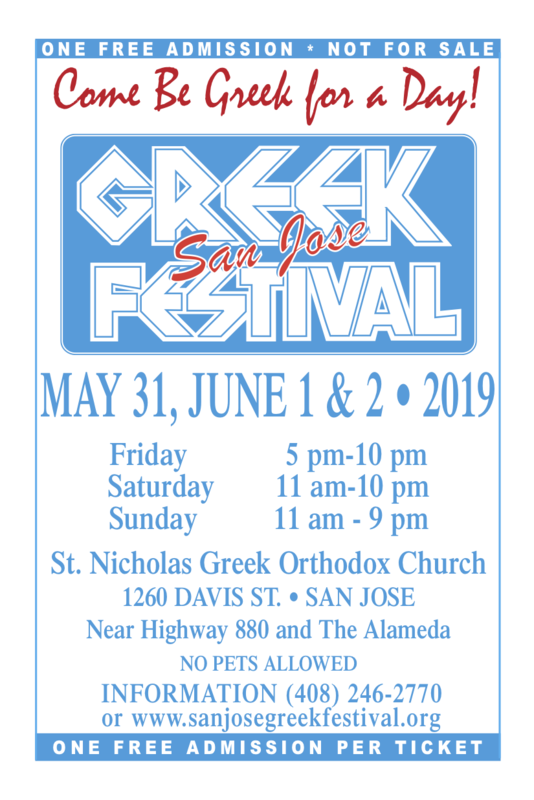 The San Jose Greek Festival is the south bay’s largest Greek Festival which happens annually during the first weekend of June. It’s a lively atmosphere that provides entertainment for all ages. 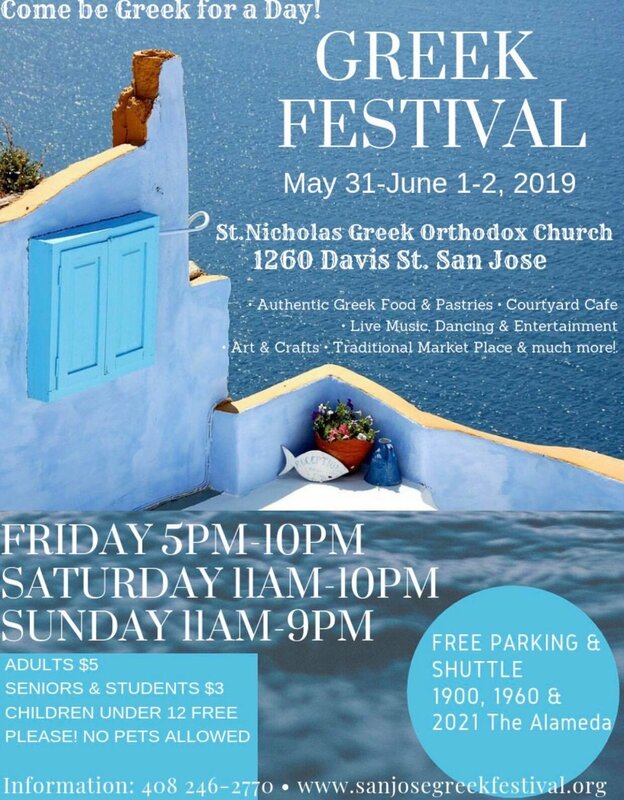 Whether it’s young families looking for a safe and fun day activity, or adults of any age looking to enjoy food and drinks, the Greek Festival is always an excellent choice. Experience the culture and hospitality of the Greek people in an outdoor, open market setting under the beautiful sun shine of San Jose. Just about everything served at the festival is homemade by local Greeks, using family recipes that have been used for generations, meaning you’ll have a truly authentic experience! Live music and award-winning dance groups will be onsite all weekend for your entertainment. With free parking and ample coupons available online for free admission simply attending the festival is friendly on your wallet, making your food and drink the only costs. VTA buses stop right by the church making it a convenient local weekend adventure. Download and print the ticket for free admission.